After posting pictures of my Christmas decorations earlier this week, I was so excited when several of you took me up on my offer and submitted pictures of your own homes all decked out for the holidays. My excitement became even greater when I realized how wonderful so many of these pictures were -- I am so impressed! In particular, I love how many of you go well beyond traditional holiday decorating (i.e., a Christmas tree, stockings and a wreath). Instead, decorations line stairwells, tables, and just about any spare corner in your homes creating a wonderfully festive atmosphere throughout the house. Perhaps best of all though, I love the variety of decorations and styles that these photos display; no matter what your decorating taste, I'm sure you'll find something you like. 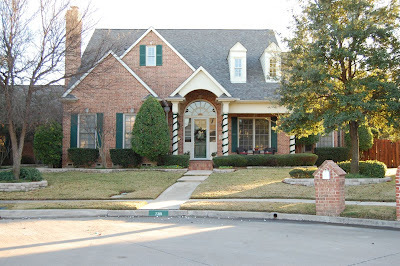 Our first stop is to Dallas, where loyal Odi et Amo reader Nichole lives in a charming traditional home. There's such a line when it comes to outdoor decorating between being festive and being tacky, and I think Nichole tows that line beautifully with some simple garlands around the columns (which highlights her charming portico) and a wreath on the door. I also like how the decorations can be enjoyed in daylight as well as at night. Aside from the Christmas tree, festive garlands hung along a banister are my favorite holiday decorations and when they can highlight a gorgeous stairwell, as they do here, all the better. 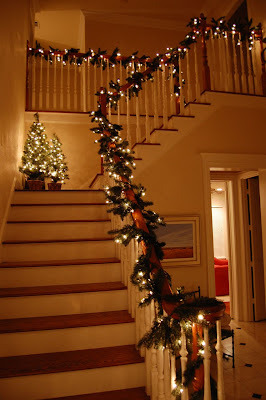 I also love how Nichole placed two small Christmas trees on the landing. Well done, Nichole! I suspect many of you will recognize this D.C.-area front door as belonging to Beth (author of two of my "must read" blogs, Chinoiserie Chic and Style Redux). 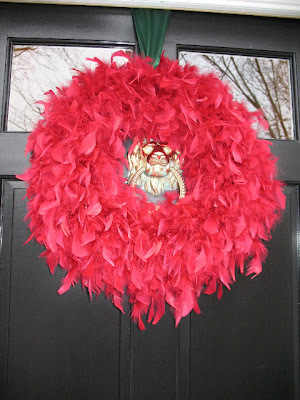 Her red angel wreath is such a gorgeous and fun alternative to a traditional spruce wreath and really pops against Beth's black door. Colorful blue and pink ornaments bedeck more towering greenery in Beth's sitting room. 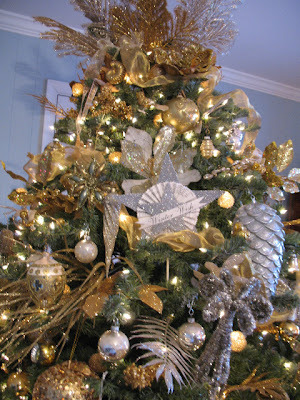 A close-up of Beth's Christmas tree in her family room shows off an array of beautiful metallic ornaments. I love the mixture of textures and styles here, all made cohesive by a gold and silver color palette. 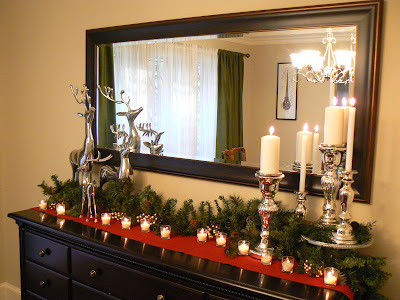 Beth has done a wonderful series this month over at Chinoiserie Chic chronicling her holiday decorating room by room; if you're looking for innovative ways to deck the halls in style, it's a must read. Our next stop is southern New Jersey, where we'll check in on the home of A Lil' Welsh Rarebit's Christy. 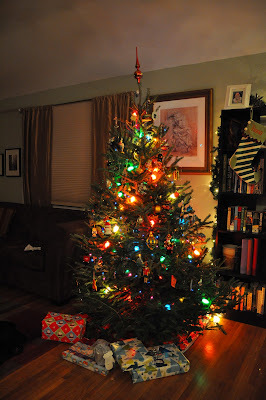 Christy's colorful Christmas tree reminds me so much of the Christmas trees of my childhood -- the colorful lights, mix of ornaments and lovingly wrapped gifts just sing "welcome home for the holidays!" to me. 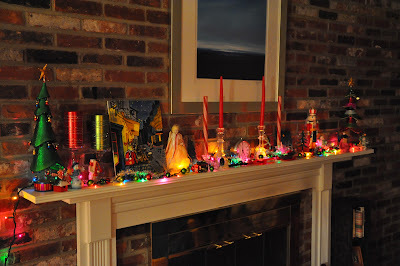 I love the warmth and personality of Christy's mantle, which displays are variety of holiday treasures both old and new. There's also a certain urban quality here with all these colored lights against the brick wall that I find very appealing. 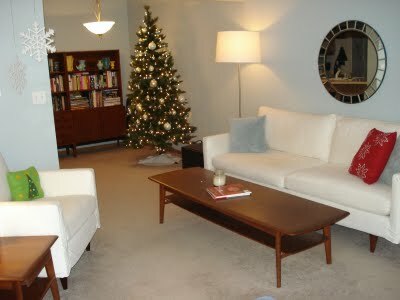 Next we'll make our way to Iowa and Kara's midcentury modern-inspired living room. I love how Kara kept her holiday decorations in line with her overall design aesthetic. The effect is simple and modern, but still cozy and festive. 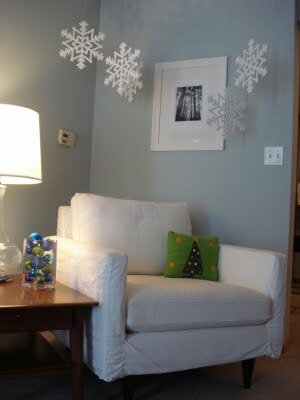 A few simple snowflakes, a bowl full of blue and green ornaments and a cute throw pillow were all Kara needed to make this corner of her living room feel festive. And, of course, how could I resist including a photo of these cute faces? 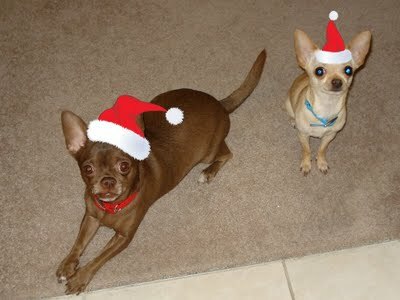 Kara's adorable pups are Arlo and Minnie, respectively. Be sure to check out all their many adventures over at Kara's blog, Living in the Moment. The final leg of our virtual tour brings us back to the Dallas area at the home of Liz, whose blog It's Great to be Home... chronicles the ongoing renovations of her charming '60s-era ranch (as well as the house flipping venture she recently launched with her husband). Liz's gorgeous living room (and that stunning fireplace!) 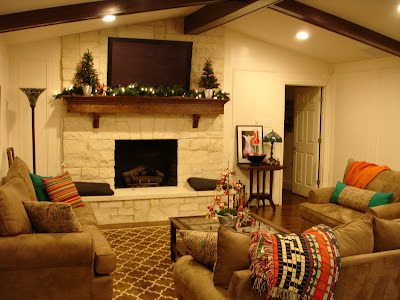 is hands down my favorite room that she and her husband have redone. For the holidays, Liz has shown the fireplace off to its best advantage with two small trees and a lovely green garland. Liz's Christmas tree is just so joyous -- I love the tightly edited red and gold color scheme, which compliments all the creamy neutrals and rich browns of her home. 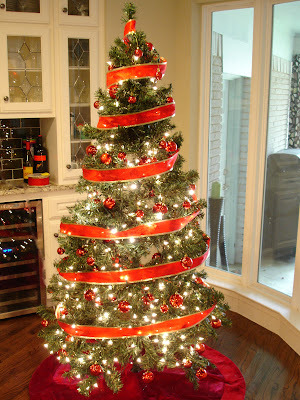 The simply wrapped ribbon really makes a statement, doesn't it? Finally, Liz decorated the buffet in her dining room with more greenery and a red runner, which ties the tablescape in with the decorations elsewhere in her house. I particularly love Liz's collection of large silver candlesticks, staggered at different heights thanks to a silver cake stand (brilliant!). What a great collection! So much fun!! 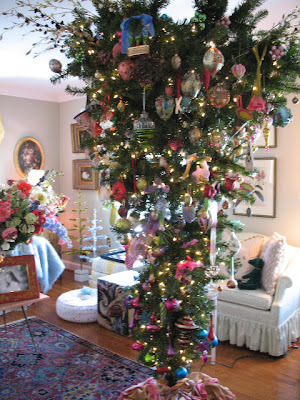 Such fun to see all these different examples of decorating for the holidays, a very eclectic mix. Have a great trip! Averill, this is too fun! I love seeing everyone's decorations - I'm definitely going to have to incorporate some of these ideas into my decor next year. :) Thanks for including me, and Merry Christmas! 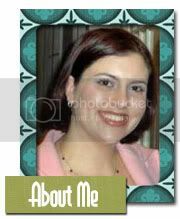 Averill-Thanks for the mention and Happy Holidays. What a fab idea for a post! Some really great photos! Merry Christmas! Great and very helpful article, i really like it thanks for sharing this useful information with us but can you tell me something about Wedding lights if yes, then please let me know..
Dear Santa...A Gift Guide for Me!